The 2012-2013 NFL season has come to a close, the Ravens are Super Bowl champions and Ray Lewis goes out on top once again. This season has truly been one of the strangest and most memorable NFL seasons to date, let’s take a look at why. Before the season even began one of the biggest stories of the year hit. Nearly the entire Saints coaching staff and several of their current and former players faced heavy penalties for the teams alleged “pay-for-play” program. 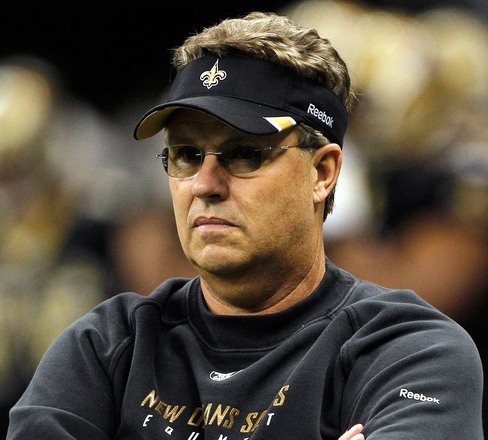 Former defensive coordinator Gregg Williams is still suspended by the league, but has a job waiting for him with the Rams if he is reinstated by Roger Goodell. Sean Peyton missed the entire season also due to suspension; Jonathon Vilma spent most of his season in courtrooms fighting his suspension. Even with all of these sanctions most people believed the Saints would still make the playoffs. After all they did still have Drew Brees at quarterback and you couldn’t ask for a better person to lead a team after a scandal like this. It wasn’t to be though as they started off the year 0-4 including a loss to the Kansas City Chiefs, who ended the season with the worst overall record in the league, at home in the SuperDome. The Saints ended the year 7-9, their worst mark since they lost the same amount of games in 2007, the year before their Super Bowl. Of course the pivotal moment of the replacement ref era came the next night, on the biggest stage, Monday Night Football. Seattle was driving as time expired, trying to beat Green Bay Packers. Rookie QB Russell Wilson threw up a prayer as the clock hit 0:00 to Golden Tate; the play was ultimately ruled a touchdown for Seattle and they walked out with a win, but it has to have the biggest asterisk next to it in the history of pro sports. You can look at that play anyway you want, M.D. Jennings intercepted that ball and the Packers should have won that game. It was the saddest excuse for officiating since….well the previous night. The only good thing you can say about that whole debacle is it brought back the real refs faster, and boy was it good to see Mike Carey and Ed Hoculi back on the field again so we could get mad at them for their bad calls. I don’t like Ray Lewis; I never have and probably never will. I find his whole shtick extremely tiresome and quite honestly I think the whole thing is phony. In a lot of ways I find Lewis even more off-putting than Tim Tebow (and those who know me know how I feel about that man). So while I was happy to hear this would “be his last ride” *vomit*, it was bittersweet to see him end his career with a Super Bowl win. I thought I’d end on a light note that everyone can enjoy. In the 2009 and 2010 seasons the Jets made it to the AFC championship game. Everyone and their brother said it was their time; they were gearing up to dethrone the Patriots as the team in the AFC East. This year it all came crashing down on them, and it was glorious to witness. The NFL is a year-round sport. We will have a bit of a break from NFL news for the next few weeks but the offseason is waiting in the wings right now to flood the market again once free agency begins. Then there is the draft, my favorite time of year. The combine, pro days, interviews, workouts, Mayock’s inane jabber, Kiper’s hair; it all just fills me with such hope and joy for yet another wonderful NFL season to come. For my pre-offseason prediction, I’ll forever remain the homer. The Patriots are going back next year, and won’t it be sweet to win that 4th Lombardi in the house of the Giants and Jets, oh it sure will. As for now though, well, March Madness is coming up soon…oh and baseball I guess.